From the sea along the coast to the Forum, we headed to Torre Agbar, Sagrada Familia and continue flying over the Diagonal to the Camp Nou. Then we turn to Plaza España, Montjuïc and the Olympic Ring. 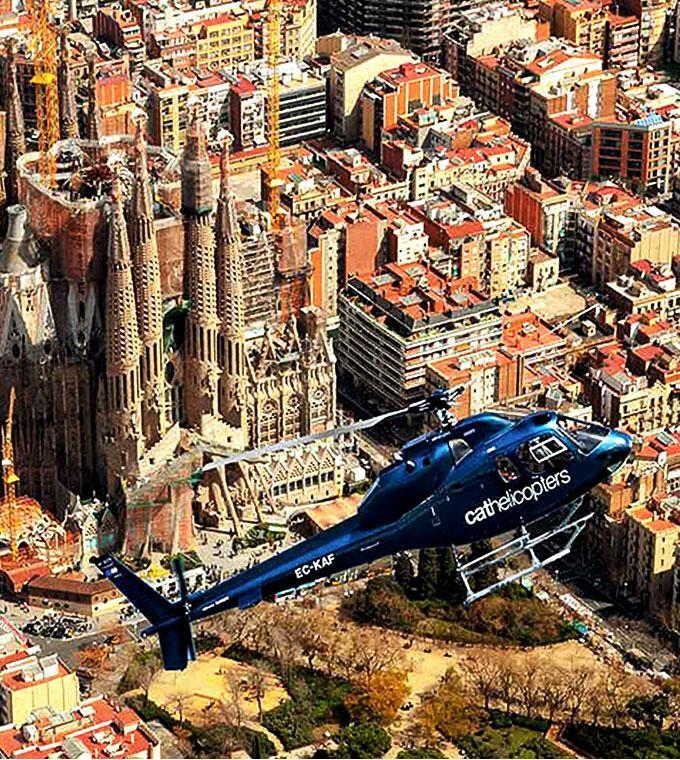 All our flights are operated by our highly qualified staff of pilots, supported with thousands of flight hours and experience flying over Barcelona. Our fleet of helicopters has the latest technology and with our staff, you will live an unforgettable and different experience.